The Earth Sciences & Map Library has over 80,000 images covering California and other selected areas. Historical coverage is available for some areas from 1931 to the present, with scales between 1:2,400 - 1:40,000. The majority of the collection is 9 x 9 inch contact prints with stereographic coverage. The Library's collection emphasis is on San Francisco and the East Bay; however, our collection responsibilities also include the nine counties surrounding the San Francisco Bay and northern California, exclusive of the Central Valley. For areas of the state not collected by Berkeley, cooperative collection responsibilities are in place with the map collections of other UC campuses and Stanford University. A database of the Earth Science & Map Library's aerial photographs. Search by selecting the California county that contains the area of interest. A list that links to scans of many of the air photo index maps held in the Earth Sciences & Map Library's collection. Use the call number from the Catalog of Aerial Photography to find the index you need. Search using the flight number, then click on View Holdings to see which frames the library holds. You can also use Oskicat to search for air photos covering areas outside of California. Use the Advanced Keyword Search to search for subject keywords. Include the term aerial photographs as well as place names. Example: taiwan aerial photographs. Provides an excellent overview of the types of aerial imagery that are available and links to where to find them. A complete search and order tool for aerial photos, elevation data and satellite products distributed by the USGS. The USGS EarthExplorer (EE) tool provides users the ability to query, search, and order satellite images, aerial photographs, and cartographic products from several sources. In addition to data from the Landsat missions and a variety of other data providers, EE now provides access to MODIS land data products from the NASA Terra and Aqua missions, and ASTER level-1B data products over the U.S. and Territories from the NASA ASTER mission. Registered users of EE have access to more features than guest users. All Landsat 7 ETM+, Landsat 4/5 TM, Landsat 1-5 MSS, EO-1 ALI, EO-1 Hyperion, MRLC, and Tri-Decadal data sets available; LP DAAC ASTER and selected MODIS data holdings also available. Browse-based for enhanced visualization. The USGS Global Visualization Viewer (GloVis) is an online search and order tool for selected satellite data. The viewer allows access to all available browse images from the Landsat 7 ETM+, Landsat 4/5 TM, Landsat 1-5 MSS, EO-1 ALI, EO-1 Hyperion, MRLC, and Tri-Decadal data sets, as well as Aster TIR, Aster VNIR and MODIS browse images from the DAAC inventory. Through a graphic map display, the user can select any area of interest and immediately view all available browse images for the specified location. From the browse image viewer page, the user may either navigate to view adjacent scene locations or select a new area of interest. GloVis also offers additional features such as cloud cover limits, date limits, user-specified map layer displays, scene list maintenance, and access to metadata. Define a region and download recent imagery, census, and climate data (among others). Includes the National Agricultural Imagery Program Mosaic imagery. Current and historic aerial imagery. Access the historical imagery under the "View" tab. Google Earth Pro enables you to download high-resolution images. Google Earth Pro is available on the GIS workstations in the Earth Sciences & Map Library, and is also now available for free public download. 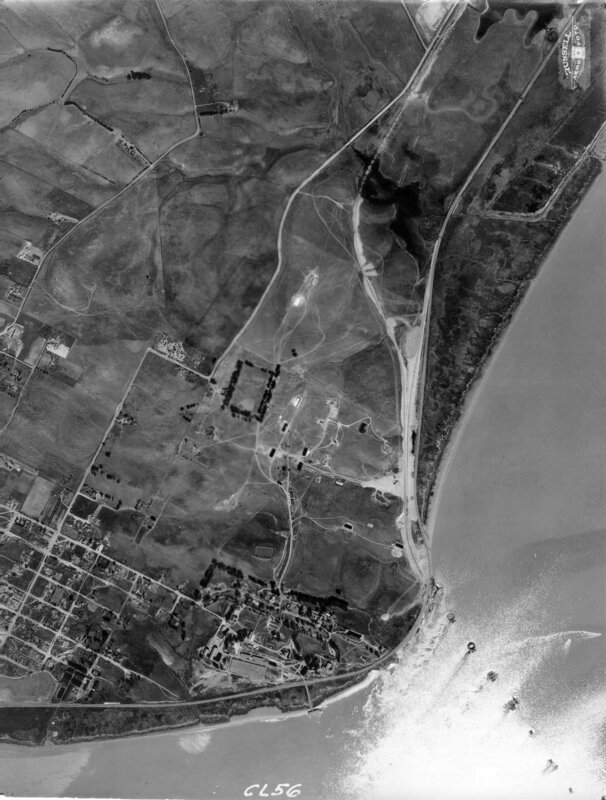 The UCSB Library's collection of aerial photography is the largest known such collection in an academic library. The collection dates back to the 1920s, and we can generally provide one photograph per decade for anywhere in California. Outside of California, we have unique collections that include areas of China, Central Asia, Africa, and the Pacific islands. Many digital scans available, others may be requested.